Haptamnesh Behailu, one of the best gymnasts at Debre Berhan circus. She is a deaf and a dumb. Debre Berhan Circus accommodates everyone. Debre Berhan or Birhan town is located in Central Ethiopia. Its population stands over a hundred thousand. Debre Berhan Circus is located in Debre Berhan town. 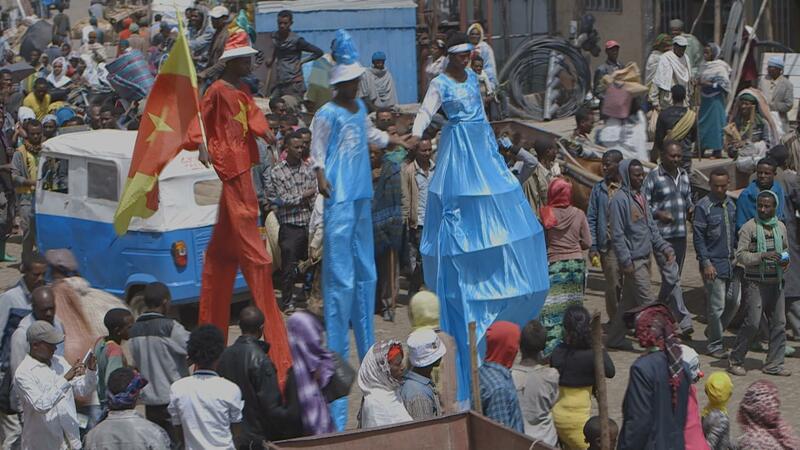 In 1992 Marc Lachance a Canadian pioneered Circus in Ethiopia. One of his protégé, Netsanet Asefa founded the Debre Berhan Circus in 1998. 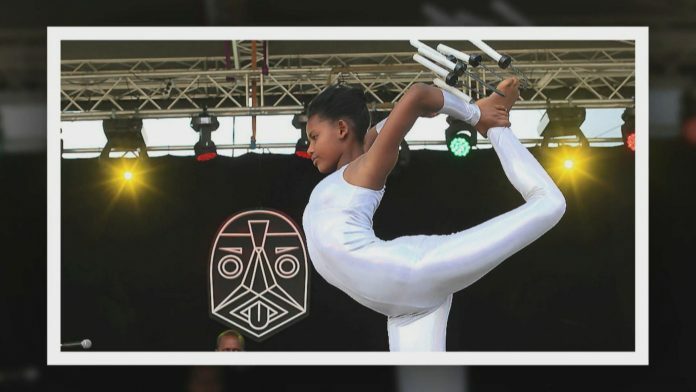 Netsanet Asefa left Ethiopia and sought asylum in Europe and his friend Teklu Ashagir took over and now runs the circus as the director and instructor. Teklu Ashagir never joined Marc Lachance’s school of circus or any circus school. He’s a self-taught gymnast. 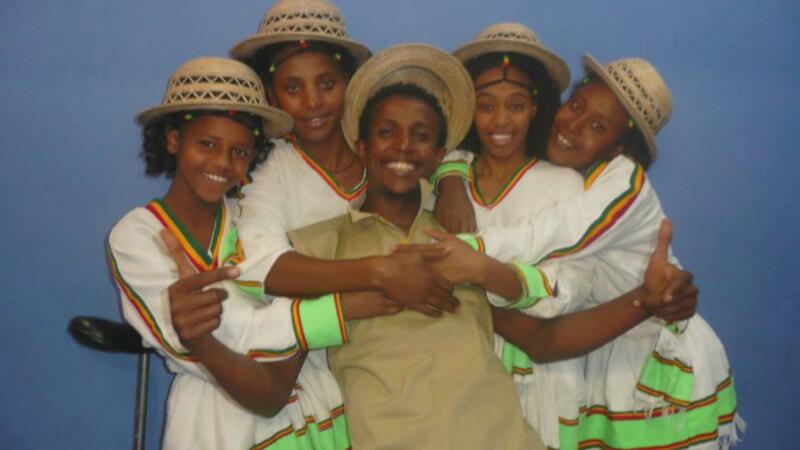 His passion started when Circus of Ethiopia by Marc rented their venue from Teklu’s family. His father never allowed Teklu to join the circus, and all he remembers doing was watching the performances through the window. “When the Circus of Ethiopia was founded, it was situated next to my parents’ house. But my father did not allow me to join the circus. Because I saw everything like how they developed their acts. So that’s how I developed my art,” Teklu recalled. Teklu studied business management but his passion remains in circus. His role pertains managing all of the circus’ activities. “My role is to control all of the circus activities in a managerial way as well as artistically,” told Teklu. The circus has over a hundred young people who come from all corners of the town and are in different ages, genders and abilities. The center accommodates young people with disabilities likes the deaf and the blind, hence regarded as the ‘Circus for all’. Sixteen year old Haptamnesh Behailu who is a deaf as well as dumb is one of the best gymnasts at the circus. Binyam Behailu is Haptamnesh’s little brother and also a gymnast at the circus. Haptamnesh joined the circus while she was young. “I first heard about the circus from my friends in school who are also deaf. One day they brought me here and I could not imagine myself performing the acts I saw. They seemed very difficult,” she told. Today, she’s one of the professional performers. “In the beginning it was very difficult for me to learn my moves. Things got easier due to the regular training and support from the coach,” Haptamnesh recalled. Haptamnesh has excelled and as a result of her success, she built her family a house. “It is great that they (Haptamnesh and Binyam) have joined the circus because it keeps them out of trouble. They have changed our lives through their talents. At such young ages, they have accomplished a lot,” told Sike Abate – Haptamnesh and Binyam’s mother. Some of the performers end up becoming trainers at the circus. One of them is Ashenafi Fereje, the head coach. 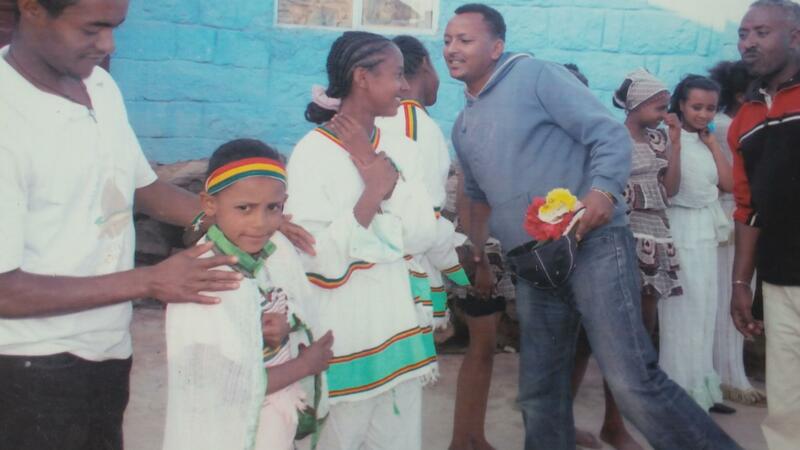 Haptamnesh Behailu, one of the best gymnasts at Debre Berhan circus. She is both deaf and dumb. Debre Berhan Circus accommodates everyone. “To reach the level I am right now, many things have happened in the past nine years. When beginners come in, they learn three fundamental things. The first one is balance. The second one is flexibility. And the third one is strength,” told Ashenafi Fereje – the head coach. Hulunifar Baryaw is the music producer and plays almost every instrument at the circus. Baryaw comes from a very poor slum. To him the circus is everything and he relishes every moment he’s at the circus. “To be part of this amazing circus, that is my dream,” he said. “Baryaw is a musical trainer. He comes from a very poor slum area where there is a lot of crime and drugs. But now he is the one composing and producing the music for our productions,” told Tekla. The circus performers attend various festivals around the world. To couple their success, the government of Ethiopia gave them a piece of land. As their director Teklu stated, their vision is clear with a plan to improve on infrastructure, skills and further involvement of special needs in East Africa. “This is where we want to go in the coming five years,” he said.